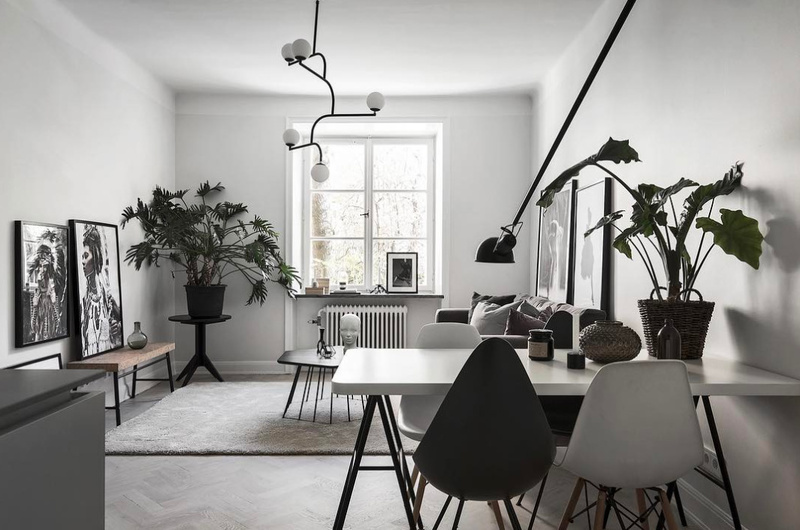 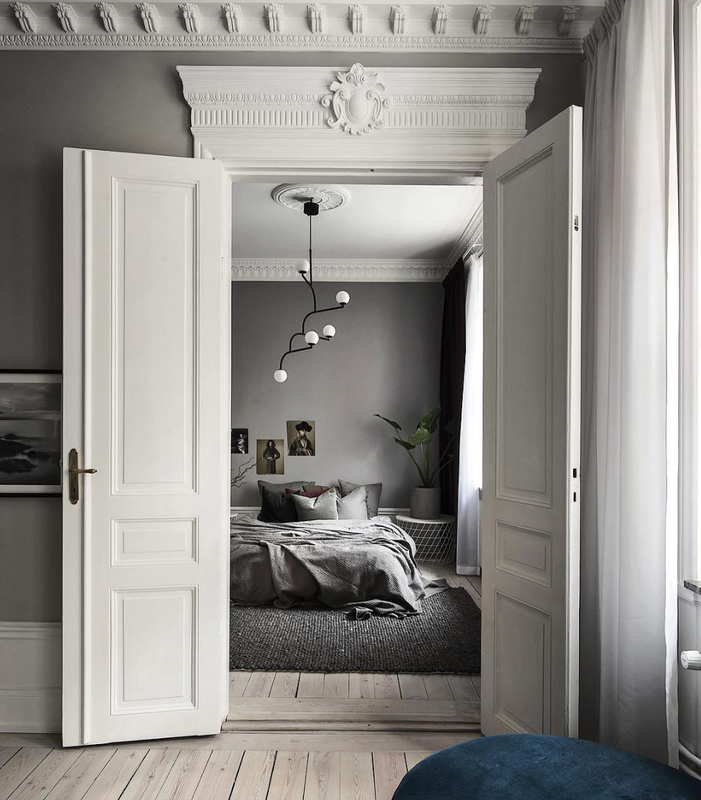 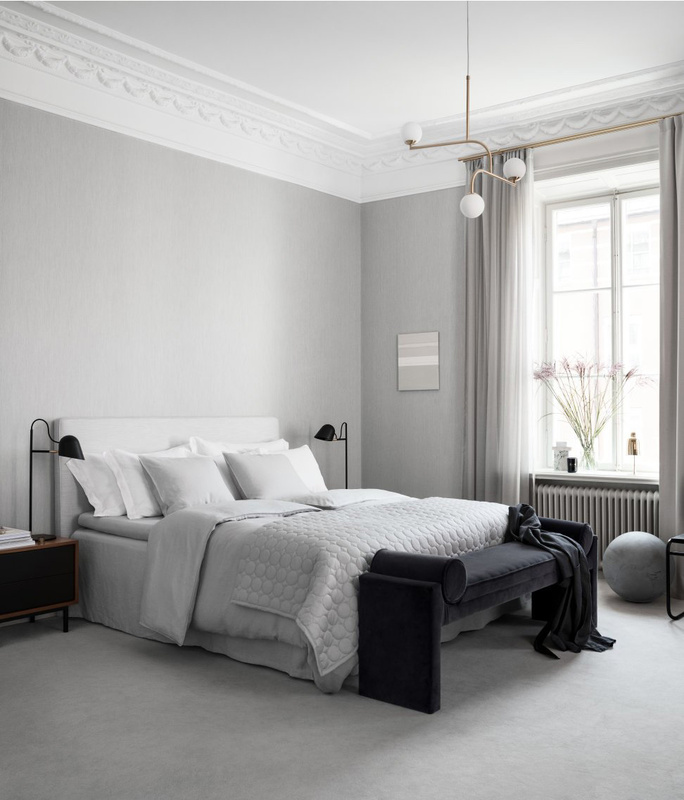 I’ve spotted this beautiful pendant lamp in several Scandinavian interiors lately, and I predict we’ll see it increasingly in the coming months. 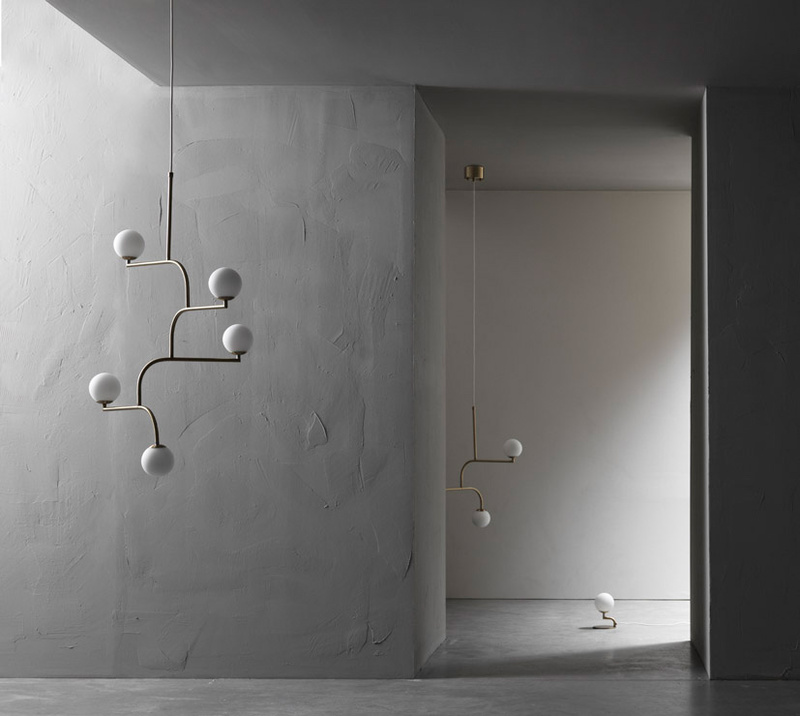 It surely helps that the design won an award from Elle Decoration earlier this year. 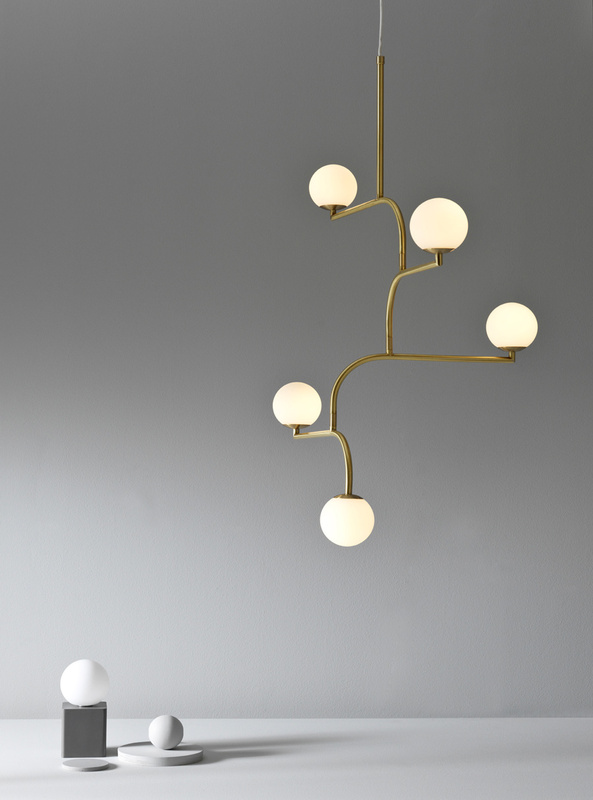 Designed by Monika Mulder for PHOLC, the Mobil lamp was inspired by balconies of New York and the round streetlights on the Brooklyn Bridge. 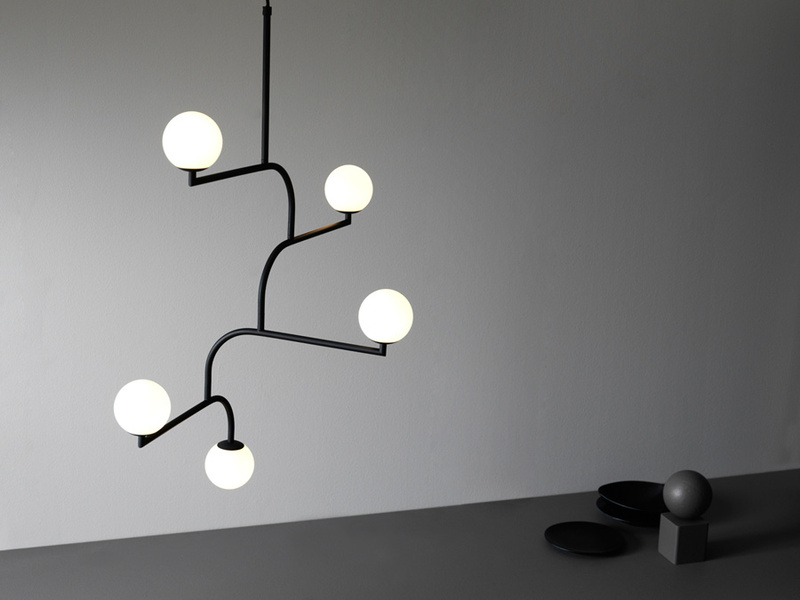 With its sculptural shape and curves, it slightly reminds me of the Art Deco era, but with modern graphic qualities. 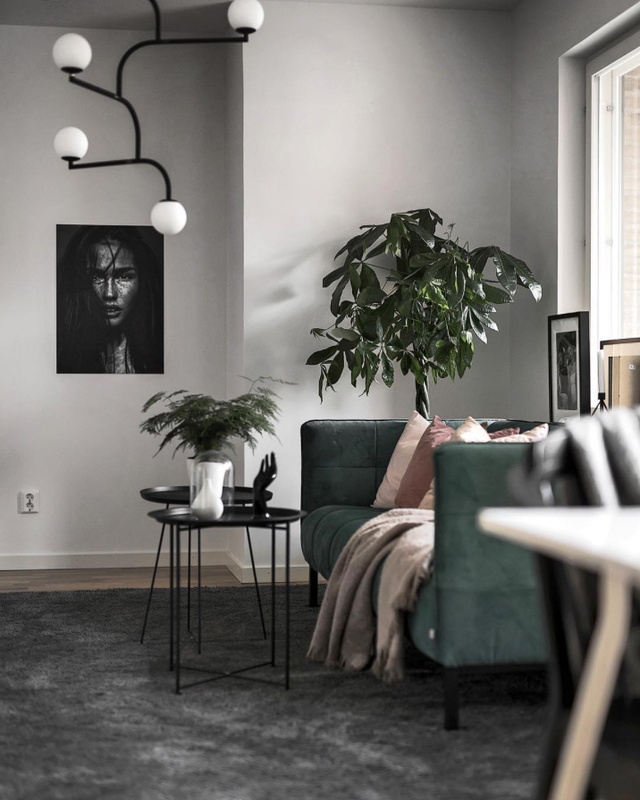 It is a fantastic statement piece to have and cherish. 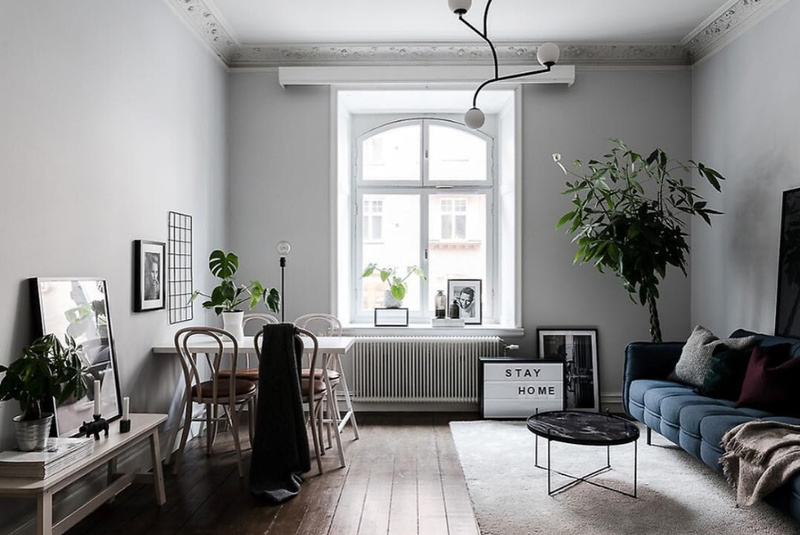 If your home doesn’t have generous ceiling heights to accommodate the lamp, the series also includes a table version, as well as two wall models; see them here and here. 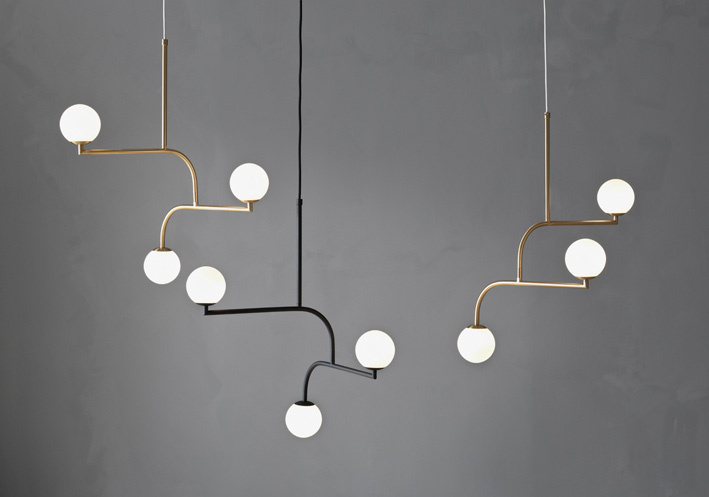 Mobil is available in black, brass or nickel with opal glass, and with five or three bulbs. 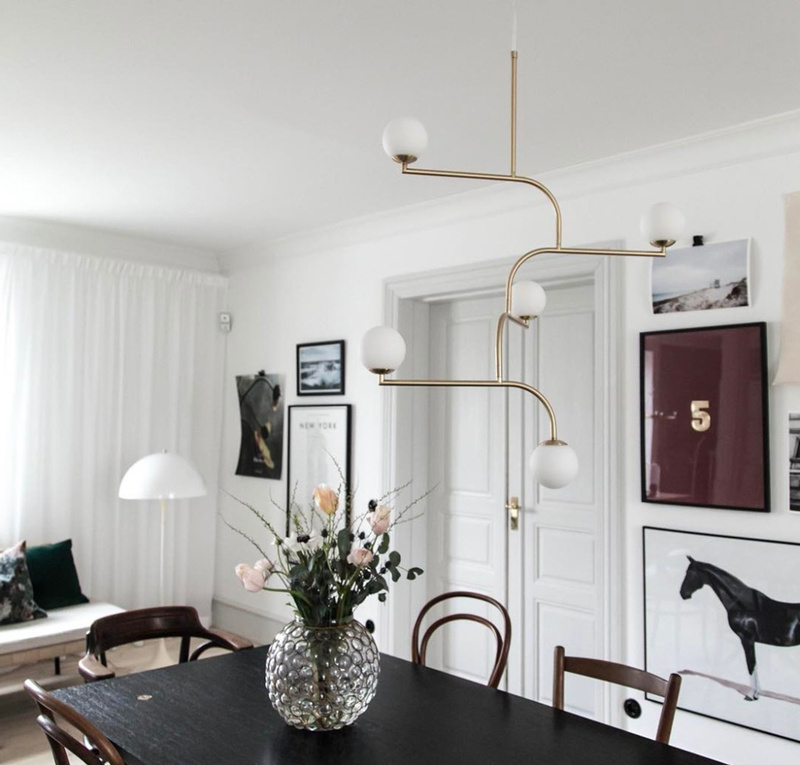 Below you can see the Mobil pendant lamp in beautiful interiors – It looks great, right?